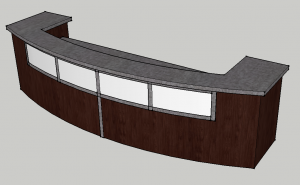 Our twelve-foot frosted welcome desk features a streamlined, curved body with four beautiful frosted or milk plex front accents. 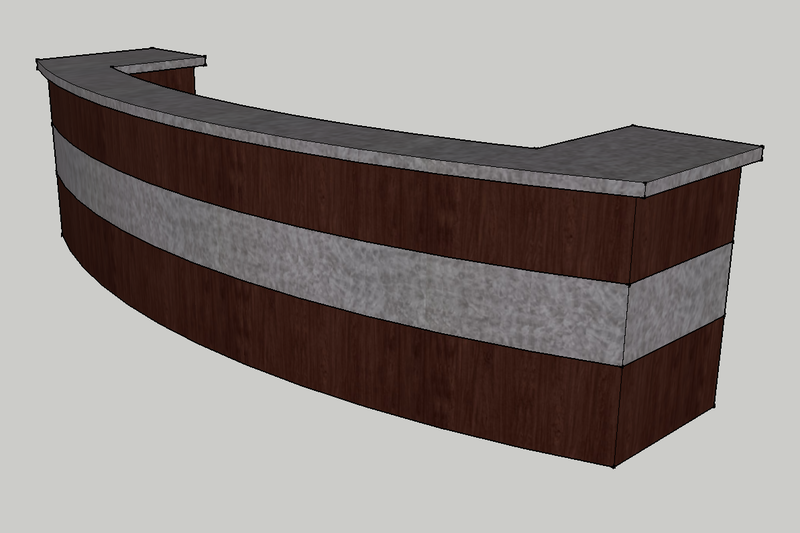 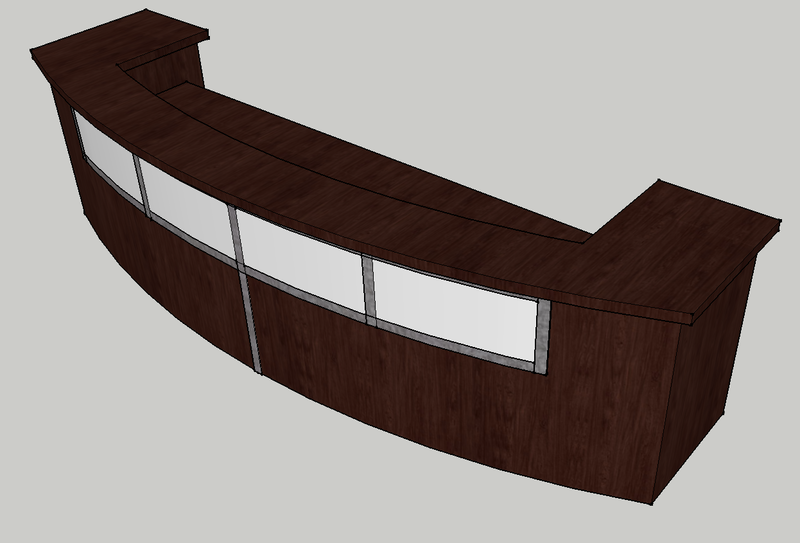 This reception desk provides optimum elegance in design, with custom laminate color options to fit with any decor. Included additions that make this church reception desk even more special are a locking drawer, faux metallic accent finishes and custom laminate covering colors. 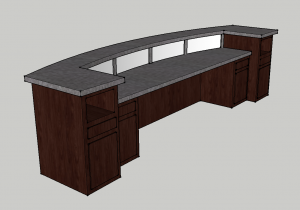 Enhancement upgrades include granite countertops, additional locks, special-order laminates and electrical. All-in-all, our purposeful custom-designed welcome center is made to be a dream reception area addition.